“The head of a controversial special education school here, already facing allegations of money laundering, has been charged with an additional, more severe corruption count, state officials said Friday. The New Jersey attorney general says further investigation discovered Rabbi Osher Eisemann, the founder of the School for Children with Hidden Intelligence, wired $450,000 in public tuition funds from the school to “an entity in New York state owned by an associate.” That money was then used by the “associate” to pay off past-due New Jersey taxes, according to the attorney general. In a new indictment filed Friday, Eisemann is charged with first-degree corruption of public resources, a crime that could carry a prison sentence of 10 to 20 years prison if he is convicted. The school’s fundraising foundation, Services for Hidden Intelligence, is also charged with the corruption count. Read the full indictment at the bottom of this story. Eisemann, 61, was first charged in March 2017 for allegedly stealing $630,000 in public tuition money and faced five to 10 years in prison. $200,000 from “undetermined sources” that Eisemann used to make it look like he was using his own money to repay debts he owed to SCHI. $12,000 to pay his credit card debt. $317,000 for a private business venture. $450,000 for the back taxes. Eisemann and the foundation are also charged with second-degree counts of: theft by unlawful taking, money laundering and misapplication of government property. Eisemann is individually charged with misconduct of a corporate official. “Eisemann allegedly used the school’s fundraising foundation to play a shell game with public tuition funds, moving huge sums to places that had nothing to do with serving the school and its students and everything to do with serving his personal ends,” New Jersey Attorney General Gurbir S. Grewal said in a news release. The Oak Street school receives $1.8 million a month from public school districts that send students with special education needs there. The Lakewood school district, which annually faces budget deficits in part because of its soaring special education costs, makes up the bulk of that funding. Lakewood’s public schools are facing a $28 million budget shortfall in the next academic year. About 200 children from the public schools attend the School for Children with Hidden Intelligence, which is known by its acronym SCHI, at a cost of more than $20 million. Lee Vartan, Eisemann’s lawyer, said in an email his client “vehemently denies” the allegations, and state investigators have it wrong. Vartan said the school can document that every state dollar received — and more — was spent on educating SCHI students. Eisemann, who stepped down from the school while the case against him was pending, founded SCHI in 1995. It’s grown to more than 200 students today, Vartan said. “The school works miracles every day,” he said. Though Eisemann had already pleaded not guilty to the charges against him, the new indictment resets the case and he will be soon scheduled for an arraignment in Middlesex County. 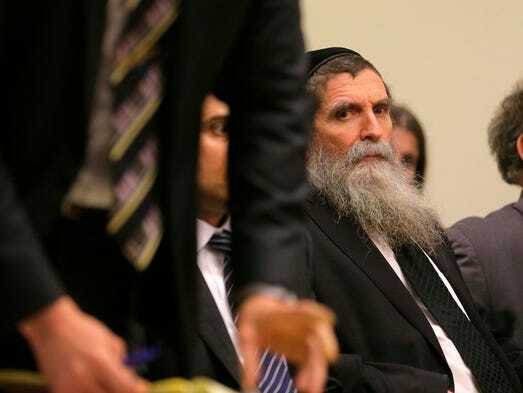 Rabbi Osher Eisemann, the founder of Lakewood’s School for Children with Hidden Intelligence, pleads not guilty to charges that he stole thousands of dollars from the school. “A rabbi charged with stealing $630,000 in public tuition funds through the special-needs school he leads is taking a voluntary leave of absence, his attorney said Tuesday. Rabbi Osher Eisemann, 60, is founder and director of the School for Children with Hidden Intelligence. Eisemann was charged in a four-count state indictment earlier this year. He has pleaded not guilty. Eisemann had intended to stay on the job, attorney Lee Vartan said, but that changed this week when the rabbi decided to “focus on exonerating himself,” Vartan said. “This was something we had always discussed. His intention now is to focus fully and fight the charges and return to the school when he’s exonerated,” said Vartan, who is with the Holland & Knight law firm, New York. “It was a decision that was difficult for him to make but he’s always made the school his top priority, so this is best for himself and the school,” Vartan said. A 11,000-square-foot home on Miller Road in Lakewood, currently assessed at $1.2 million. “Regrettably, baseless allegations made against me have resulted in this decision,” he said. Vartan in a court filing claimed the state’s evidence against Eisemann was obtained from raids through overly broad search warrants and should be thrown out. The state has until Sept. 8 to respond to the motion to suppress evidence from the trove of electronic and paper documents recovered from raids at six locations. Middlesex County Superior Court Judge Benjamin Bucca says he’ll conduct a hearing on the motion Sept. 29. The charges against Eisemann include theft by unlawful taking, misapplication of government property, misconduct by a corporate official, and money laundering — all second-degree offenses that carry up to 10 years in prison and a fine of up to $150,000, state Attorney General Christopher Porrino has said. The school’s fundraising foundation, the nonprofit Services for Hidden Intelligence, LLC, was also named in the indictment under the same charges. Attorneys for the foundation have also entered a not guilty plea.